Wilmington is the largest city in Delaware. This means there are a variety of advertising and billboard opportunities. 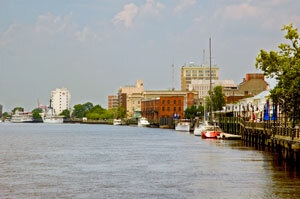 Downtown Wilmington is an atmosphere filled with culture and the arts. The Delaware Art Museum and The Delaware Center for the Contemporary Arts draw thousands of patrons to Wilmington every year, allowing you to target this audience with outdoor advertising in key locations throughout the city. There is also the possibility of billboards or digital advertising signage in the Daniel S. Frawley Stadium home of the minor league baseball team the Wilmington Blue Rocks. Additionally, there is effective advertising potential with billboards on Interstate 95, which runs through the city.